Modern technology has made it possible to remove tattoos using various methods. It is possible to remove a tattoo partially or entirely depending on your decision. The standard method currently being used is the laser tattoo removal. Researchers are yet to come up with the tattoo removal cream, considered to be effective. The laser removal method involves the initial use of continuous wave lasers. The use of Q-switched lasers, a non-invasive strategy to tattoo removal can completely remove dark and black-colored tattoos. You can remove a tattoo by using an appropriate removal method. If you want to get rid of a tattoo, you should consider the colors used, size, and its location. The laser method is the best strategy of getting rid of a permanent tattoo. A variety of cultural, social, and physical changes can make one to change the decision of wearing a permanent tattoo and opt to remove it. There are some facts about removing tattoos that you need to know. Professionally applied tattoos penetrate into the deep layers of the skin uniformly. 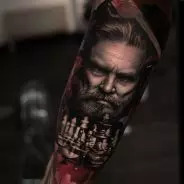 This means that the professional tattoo removers must use techniques that can remove the tattoo to the same depth in the inked skin area. Additionally, older tattoos are easy to remove than newer ones. The process is done on an outpatient basis and may not be possible to remove the tattoo completely. You should use a qualified professional to remove your tattoo. Have a comprehensive discussion with the specialist about your decision to get facts that can enable you manage expectations. The process is considered as a cosmetic or aesthetic procedure and is not covered by medical insurance. Therefore, you should be aware of all the costs involved and be ready to meet them. After deciding to remove your tattoo, you should be prepared to follow all the pre and post-removal treatment procedures to maintain good health. Make sure to ask for any side effects of the chosen procedures and if you have any autoimmune disorders, let the professional remover be aware. The procedure should be done in sanitary conditions and by professionals. Even if it is expensive, consider acquiring professional services instead of doing it yourself because it can lead to skin infections. It is more expensive and painful to remove a tattoo as compared to the process of getting one. However, the work of researchers that is expected to lead to the introduction of a topical cream that can be used will make the process to be of low cost and painless. The ink used in tattooing is deposited into the dermis, the deepest layer, by use of a needle. The tattoo ink can be seen as a decoration for beauty, but it is an intruder into the dermis layer that needs to be removed. The body immune system sends some macrophages cells to aid in the cleanup process by removing the tattoo ink from the dermis layer. The ink is transported to the lymph system. However, the specialized cells cannot remove all the ink, leading to a permanent stain, referred to as the tattoo. Even if the ink can fade over time, it is permanent. Scientist, Falkenham, used this idea of removing and transporting ink to the lymphatic system by the macrophages cells. He came up with cream that promotes new macrophages cells that can clean all the remaining ink in the deeper skin layer. 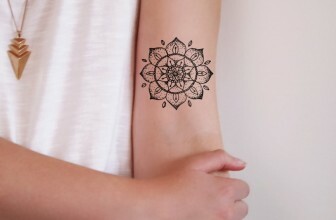 After a continuous application of the cream, the tattoo ink should fade away, causing little of no pain in comparison to the laser treatment. Tests done on pigs have been effective, and this is a significant breakthrough in the research. This is the currently recognized method of getting rid of tattoos. The lasers break down all the ink particles in the tattoo, making it practical to remove it permanently. Tattoo pigments have different light absorption spectra. The laser emits adequate energy for specific absorption spectra of the color pigment for it to become effective in treatment. Some colors such as green, yellow, and fluorescent are challenging to treat as compared to darker blue and black. This is because their absorption spectra fall outside the emission spectra of the removal laser. If you consider removing your tattoo in the future, it is advisable to use the darker colors. Some of the pastel colored inks have a high concentration of highly reflective elements such as titanium dioxide, and this make it difficult to be removed. Tattoos are placed for different reasons. You can prefer a selective removal because of personal reasons with minimal side effects of scarring. It is important to use the Q-switched lasers method to remove targeted tattoos on the body. The Q-switched laser method of tattoo removal can be done with minimal risk of permanent alteration of pigments and scarring. Some of the factors to consider before removing a tattoo include age, location, type of tattoo and the skin type. Because Q-switched laser method is painful, it is appropriate to use tropical anaesthesia or lidocaine cream prior to treatment. The three top types of Q-switched laser removal include the ruby laser-694 nm, Nd: YAG laser-1064 nm, and alexandrite laser-755 nm. The Q-switched laser applies selective photo thermolysis theory. The energy is absorbed by the targeted ink particles within a very short time, nanoseconds. The energy causes the temperature of the surface of the ink particles to rise to thousands of degrees and collapses into a shockwave. The shockwave then runs throughout the dermis, forcing the ink structures to fragment. The skin tissues are not affected during the process because they only vibrate when the shockwave passes through. The tattoo pigment must absorb the laser light color more than the surrounding skin. Because of the technicality involved in this process, it is wise for you to use the services of an experienced professional to remove the tattoo in order to avoid some skin burns and scars that can become a healthy hazard.